But before we start with the features and installation of the product I want first describe what XenApp 5 actually is. First there is XenApp 5 for Windows 2008. This version is especially written for the Windows 2008 operating system and includes several new features. Citrix also announced XenApp 5 for Windows 2003. This is actually just the Citrix Presentation 4.5 version with the feature release 1 (which is already released some time ago). The XenApp5 for Windows 2003 only exists of an updated Access Management Console, an update Citrix licenser server (to support the XenApp 5 license files) and an updated components CD (for new versions of the Citrix Web Interface, Citrix Secure Gateway and more). Summarized XenApp 5 is actually just a release on Windows 2008, with some updates of support components for Citrix Presentation Server 4.5. In this review I will use the XenApp 5 for Windows 2008 logically, because the new features and changes are available in this version. The platinum edition is now incorporated in the install with the other versions. Previous versions of Platinum were delivered within a different installation kit. Now finally all versions can be installed form the same media. After choosing the version the installation options are presented. Of course dependent of the version less or more options will be displayed. To install the well known equivalent of Citrix Presentation Server you now need to used the Application Virtualization option. A big change to the installation is the required supporting software. Logically newer versions are required of Java Runtime 1.6.0 Update 5 and .Net Framework 3.5. The Java Runtime is not enclosed any more on the CD and should be downloaded separately. The other supporting components are available on the installation media as we are used of Citrix. Some of them are installed automatically and other should be available before starting the XenApp installation. New included components are Visual C++ 2005 (Version 8.0, Service Pack 1) and Visual J# .NET Version 2.0. The XenApp installation is not changed much except some visual changes. I refer to the previous reviews to find more information about the installation steps. Also the unattended options are not changed. With the release of Citrix Presentation Server 4.5 the Access Management Console was introduced as the main console, where some of the configuration items were still in the Citrix Presentation Server console. Actually this is not changed with Xenapp 5. The only change is that Citrix Presentation Server Console is renamed to Citrix XenApp Advanced Configuration. Also Password Manager is now incorporated within the same Access Suite Console as XenApp. Within Published Applications only one new option is available called application importance. This is part of the new preferential load balancing which will be described later in this review. Further the options are exactly the same as Citrix Presentation Server 4.5. No big changes are made to Load Balancing. It is still available in the Java console (Advanced Configuration). The same rules are available as in the previous version. Resource Manager had already made some progress within Citrix Presentation Server 4.5 with the introduction of the monitoring profiles. However Resource Manager is completely removed out of the consoles of Citrix XenApp. All Resource Manager functionality is moved to Citrix Edgesight which needs to be installed separately. Within the move to Edgesight several improvements are made like ICA session visibility and report functionalities. Also radical changes to Installation Manager. The Citrix packager was not used much and is completely removed from the product. Installation Manager is now only used to deploy pre-packaged applications, hot fixes and scripts. This is done using the Windows Task Scheduler and PowerShell, so you will not find the Installation manager in the Citrix consoles anymore. Citrix has embedded lots of improvements to the Application Streaming part. The first major change is possibility to stream applications via the HTTP or HTTPS protocol instead of the previous SMB methodology. Also inter isolation communication between applications in different profiles is possible. Also improvements have been made to updating cached applications and offline application support has been enhanced. Because of these additions the Application Isolation Environment component is completely removed, so Application Streaming is the only application virtualization methodology available in XenApp. With XenApp 5 a updated version of the (software based) Citrix Secure Gateway (3.1) is available for supporting XenApp 5 on Windows 2008 and IPV6. Also the XenApp Services site (formerly known as PNAgent) support via Citrix Secure Gateway is available again. It is good to notice that Citrix is still supporting the Citrix Secure Gateway solution, although no new features are introduced. Most features introduced in CPS4 or CPS45 are not changed. Health Monitoring & Recovery, TWAIN/PDA support, Configuration Logging, Spreedscreen Progressive Display, IMA traffic security are available in the same appearance in this version. After describing changes to existing features it is now time to take a look at new features in the product. Microsoft introduced the XPS Based Universal Driver within Windows 2008. XPS printing significantly improves print fidelity and performance, reduces bandwidth consumption, and supports independence and resolution independence. Citrix installs Citrix equivalent XPS-based Universal printer driver solutions available within an ICA session. However by default the Citrix UDP (EMF based) driver is being used, but this can adjusted via the registry. 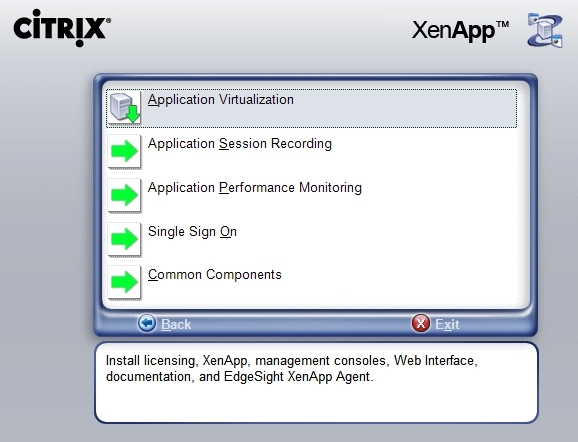 Also included with XenApp 5 is the Citrix Web Interface version 5. This Web Interface is completely rebuilt with a new user interface. Also lots of improvements are made to the Web Interface. There are two type of interface a advanced and simple display. Also the Web Interface can be viewed on mobile devices and similar. Web Interface needs to be run in IIS 6 Compatibility Role. When using Published Applications one of the difficulties was to explain to the user that My Document within the Published Applications is not the same folder and their local My Documents. With the new feature called Special Folder Redirection. This feature redirects the My Documents and My Desktop to local folders on the client within the Citrix session. I find this is really cool value added feature. 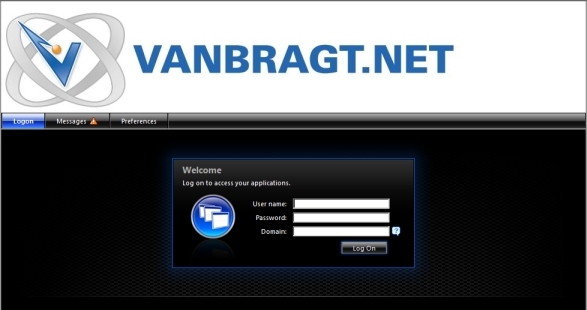 To use this feature users must connect using the Web Interface or PNAgent (with a change to the configuration) and the latest XenApp plug-in 11 (new name for the Citrix ICA client). This feature is Citrix showpiece in this version. With preferential load balancing it is possible to assign additional priority to users/groups and or applications. Session importance (based on user/groups) is configured out of the Citrix policies and application importance within the Published Application. To accomplish that using a new Windows 2008 features which is configurable using the CPU optimization settings (Resource Allotments). Preferential Load Balancing makes it possible to give special user or applications higher levels of service. This feature is only available in the platinum edition. With this new version Citrix is ready to support Terminal Services on Windows 2008 and competing with Microsoft App-V (formerly known as SoftGrid) concerning application virtualization. The enhancements made to the Application Streaming part are impressive, just as the new Web Interface component. Actually all new features are quite impressive from a technical viewpoint, but I doubt about the necessity of these features for most companies. If you have already experiences you should get familiar again with the names of all components, because also all clients are renamed (again). It is again also a pity that almost all new features are only available in the Enterprise or (even) Platinum edition. See the comparative feature matrix for all availability of features in which edition. Summarized (quick) upgrading is only necessary if you want to migrate to a Windows 2008 infrastructure, using the Application Streaming component or needs the additional new features in your environment, otherwise Citrix Presentation Server 4.5 will suit your needs.